Those entering an Ironperson Division should be accompanied by a support crew for all phases of the race. There will be one shuttle bus leaving River Bend Park (formerly Goethe Park) at 11:45 a.m. to take ironpersons to Sunrise to pick up their bikes. Remember to remove all previous timing chips from other races, these can cause inaccurate timing. Pick up bicycle before 1:00 p.m. See note on bicycle pickup for more information. Allow at least one to two hours to drop off your boat and bike, as it’s a long drive between points and there are over 1,500 bicycles and boats in the race. Have your crew deliver your bike and boat to assigned locations. Boats must be checked in at Sacramento Bar between 5:00 a.m. and 8:30 a.m. No boats will be allowed into the area after 8:30 a.m. TEAM BOATS: will be placed downstream of the Lower Sunrise Pedestrian Bridge on the north side of the river. EPIC CHALLENGE Division boats will be placed on the south side of the river downstream from the Lower Sunrise Pedestrian Bridge. If you are not in the Epic Challenge division, you are NOT allowed to set up in that area. Race officials will make random checks to ensure that boats meet the division specifications. Boats not complying will not be eligible for awards. Be extremely careful to read the bib number you have placed on your watercraft so that you do not inadvertently take another boat that is similar to yours. This has happened in previous races! Iron person bikes may be delivered to the staging area beginning at 5:00 a.m. Team cyclists will be lined up in four sections labeled A, B, C, and D by divisions and will remain in the area assigned to their divisions until they have received the official ankle band from their team runners. Runners must enter the lanes for their divisions from the dirt area on the levee side of the bicycle staging area. Disqualification will occur for running to your cyclist on the bicycle trail side of the transition area or for cyclists leaving the designated area. Team cyclists or iron persons’ crew may not enter the transition area with their bikes from the Guy West Bridge and its approaches after 8:00 a.m. Bicycle participants and/or their representatives shall have the total responsibility for the care and control of their bicycles. EGR is not responsible for any lost or stolen bikes. IRON PERSON SUPPORT CREW MEMBERS WILL BE REQUIRED TO STAY CLEAR OF THE BICYCLE RACK AREA DURING THE RACE AND MAY NOT ASSIST THE IRON PERSON WITH THE BICYCLE. Please have a copy of your iron person/team bib number to pick up their equipment, shoes, or clothing left behind. A bike I.D. tag will be included in your ironpersons’ bib packets. This is an optional security service. Each cyclist must review the Bike-to-Boat transition information on this website to become familiar with the dismount area, the running route for teammates on the pedestrian bridge and the bike pick-up area. At the conclusion of the bicycle portion of the race, Eppie’s Great Race® staff will catch your bike and take it to the nearby holding area. You must continue on foot and cross the timing mat with the ankle band. Do not stop, continue towards the footbridge. If you are part of a Relay Team, you must complete the “handoff” of your ankle band to your teammate who will be waiting for you on the pedestrian bridge. If you are an Ironperson, you are to cross the bridge and proceed to locate your watercraft to start the paddle portion of the race. After that transition, stay clear of other participants on the bridge. During peak periods, there may be a delay in picking up bikes. After retrieval of your bicycle from the holding area, you may not cross the pedestrian bridge until race officials signal that the bridge is open. Cyclists may not return to River Bend Park along the race course until race officials signal that the course is open. Failing to do so will be grounds for disqualification. Boaters are required to exit their watercraft and run the remaining 50-to-100 feet to the finish chute. Please note that in the Open Canoe Division and Tandem Kayak Division, one paddler runs to the finish line while one paddler stays with canoe/kayak until it is placed on the beach. To prevent injuries in case of a capsize or while running to the finish line, boaters are required to wear shoes in their watercraft. Also to prevent injuries to volunteers and spectators, leave your paddle in the boat – do NOT carry it with you to the finish. Each finisher will pass over two sets of timing mats wearing the ankle band and chip at ankle height to receive time for overall finish place as he/she crosses the finish line. The finisher will proceed through the chute where a volunteer will collect the ankle band and timing chip. Finishing medals will be handed out at the finish line. If you are participating as a team, the medals for the entire team will be given to the team member crossing the finish line. Volunteers will be at the beach area to assist in moving boats to the boat storage area under the bridge. Boats may be removed from the boat storage area after they are placed under the bridge. It is advisable to remove your boat from the storage area as soon as possible after 11:00 a.m. to prevent damage to or theft of your boat. Identifying marking on your paddle is strongly recommended. When recovering your boat do not interfere with finish area volunteers. It is very important that all Eppie’s Great Race® participants pick up their bicycles before 1:00 p.m. at the Lower Sunrise parking lot bicycle dismount area. Please make a copy of your bib so your support crew will have no problems getting your equipment and/or clothing/shoes. Failure to retrieve your bicycle by 1:00 p.m. creates a great hardship for the race organizers. All bicycles remaining after 1:00 p.m. in the dismount area will be transported to the County Corporation Yard at 4040 Bradshaw Road. These bicycles will not be available for pickup until after 10:00 a.m. on the Monday following the race. A $50 fee will be charged to pick up a bicycle from the County Corporation Yard. The County and EGR will not be responsible for any actual or alleged damage to any bicycle it transports to the Yard. There will be one shuttle bus leaving River Bend Park at 11:45 a.m. to take ironpersons to Sunrise to pick up their bikes. There will only be one bus so it is still recommended that you make your own arrangements for getting to Sunrise. There will be no transportation back to River Bend Park. Ironperson crews should be at the run/bike transition area at the Guy West Bridge for bicycle security, and a crew member should be at the end of the bicycle segment, near the Sunrise Pedestrian Bridge, to remove the bicycle from the storage area. An area will be provided in William Pond Park for vehicles to pick up boats close to the river. A 10-minute parking limit will be strictly enforced. Allow at least one hour to drop off boat and bike; due to traffic congestion it is a long drive between these points. To get your crew to the finish and picnic area, drive into William Pond Park. Do NOT use the River Bend Park entrance, access is not permitted to the public or participants. Those who violate this rule may be subject to being disqualified. 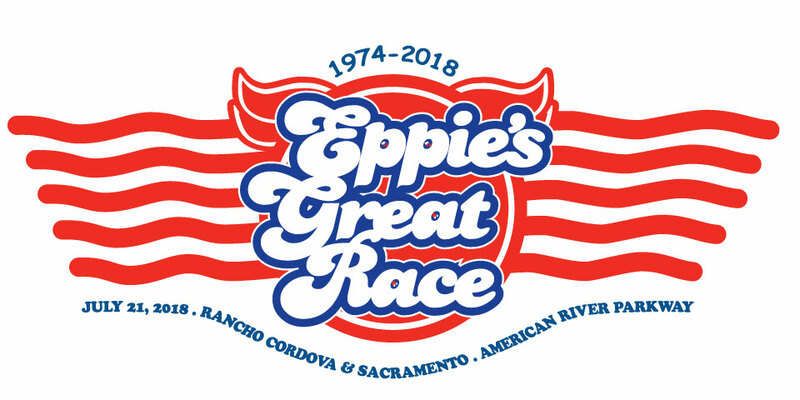 All Eppie’s Great Race® participants, spectators, family and friends are encouraged to park at William Pond Recreation Area, located on the North side of the river, across from River Bend Park. *Please try to arrive early as Parking is limited! **Parking at River Bend Park will be closed on Saturday, July 21th. Then right on Arden Way to the park. Stay on Arden Way to the park.